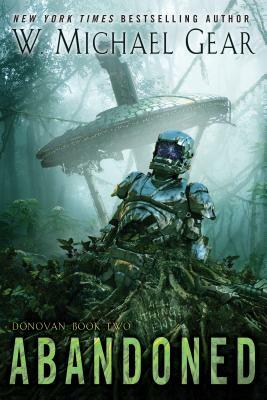 The second book in a thrilling sci-fi action adventure, set on Donovan, a treacherous alien planet where corporate threats and dangerous creatures imperil the lives of the planet's colonists. New York Times bestselling author W. Michael Gear returns us to the world he laid out with such sure purpose in Outpost. The struggle for survival sharpens as resources dwindle, technology fails, and the grim reality of life on Donovan unfolds. Supervisor Kalico Aguila has bet everything on a fragile settlement far south of Port Authority. There, she has carved a farm and mine out of wilderness. But Donovan is closing in. When conditions couldn't get worse, a murderous peril descends out of Donovan's sky--one that will leave Kalico bleeding and shattered. Talina Perez gambles her life and reputation in a bid to atone for ruthlessly murdering a woman's husband years ago. Ironically, saving Dya Simonov may save them all. Lieutenant Deb Spiro is losing it, and by killing a little girl's pet alien, she may have precipitated disaster for all. In the end, the only hope will lie with a "lost" colony, and the alien-infested reflexes possessed by Security Officer Talina Perez. On Donovan, only human beings are more terrifying than the wildlife. W. Michael Gear is the author or co-author with his beloved wife, Kathleen O’Neal Gear, of fifty-seven published novels. He is a New York Times, USA Today, and international bestselling author whose work has been translated into 29 languages and has over 17 million copies in print world wide. Both and anthropologist and archaeologist, he brings extraordinary depth and complexity to his characters and settings. Gear lives on a back country buffalo ranch in Wyoming where he raises outstanding bison, indulges in his passion for large-caliber rifles, and pets his two shelties: Jake and Shannon. Michael can be found at gear-gear.com.